Putt "a-round" at one of Branson's miniature golf courses! Fun awaits you year-round in Branson at one of the area’s fun and exciting miniature golf courses! 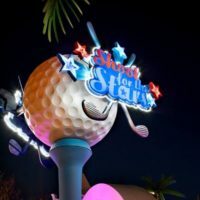 Almost a dozen different courses will challenge your play and test your skill as you make your way through the obstacles, through each hole, and around some of the most fun putt putt courses that you can play anywhere! 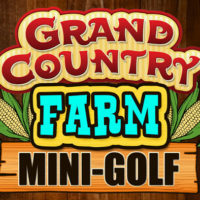 Indoor & Outdoor Mini-Golf Available! With many different options available on your next trip, you can play any time of year as the area offers both indoor and outdoor miniature golf courses – providing you with outdoor fun during nice weather and indoor climate-controlled options when you want to get away from the elements. Families, friends, and groups of all ages will be certain to find the perfect place to play on their next visit. Whether you’re dodging pirates, encountering dinosaurs, or making your way through one of the fun, indoor, black-light courses – it’s tons of fun for everyone! Quickly becoming a popular mini-golf destination, Branson, Missouri has even been the host of the United States Pro Mini Golf Association’s tournament (one of the most prestigious of its kind). Boasting nearly a dozen mini-golf courses, the area offers plenty of putt putt action for you to enjoy while you’re here! Whether you’re exploring abandoned mines, searching for lost treasure, taking a trip back to the time of the dinosaurs, or being surrounded by pirates – you will find a fun course that everyone traveling will enjoy! From indoor adventures to outdoor explorations, there’s no shortage of fun when you play here! Mini-golf in Branson is a year-round activity that provides a fun and affordable way to have some for families or friends to spend some time together!